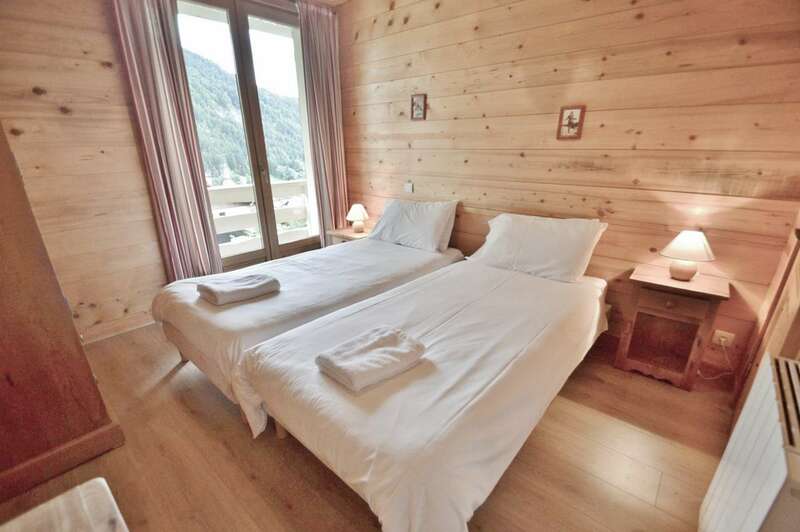 Apartment Les Envers is located in the Grand Bornand on the road going up to the Chinaillon, only 5 mins from the village center and 10 mins from the slopes. 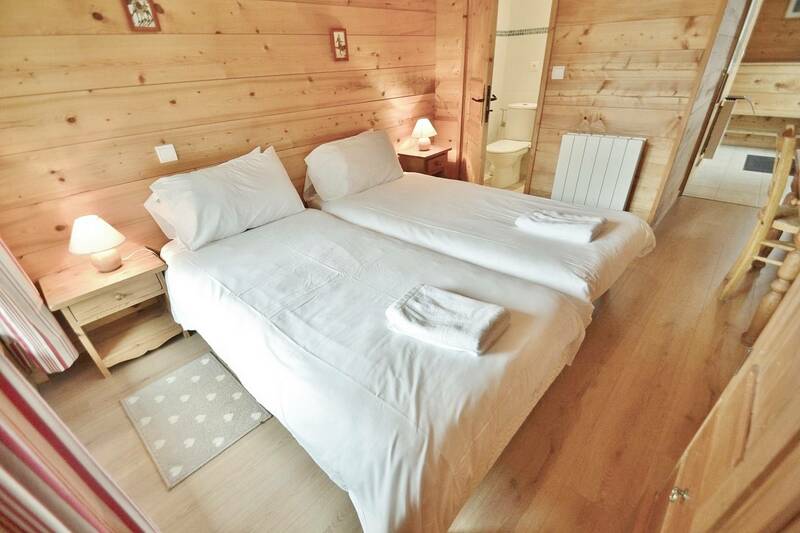 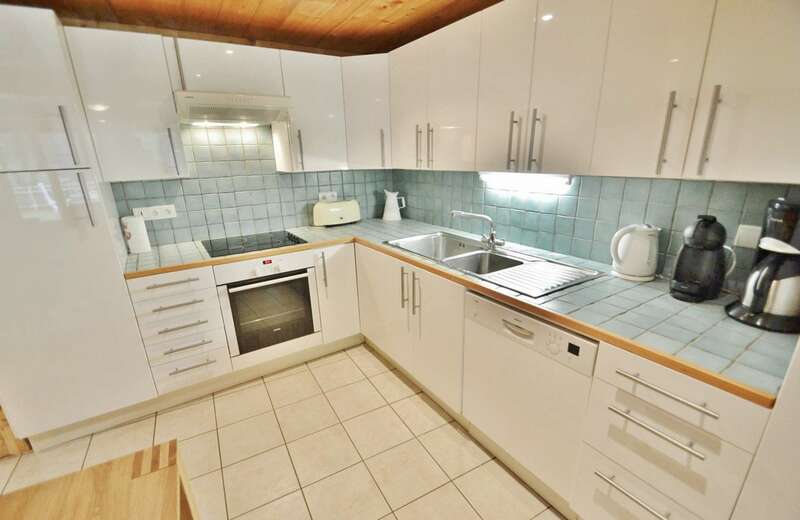 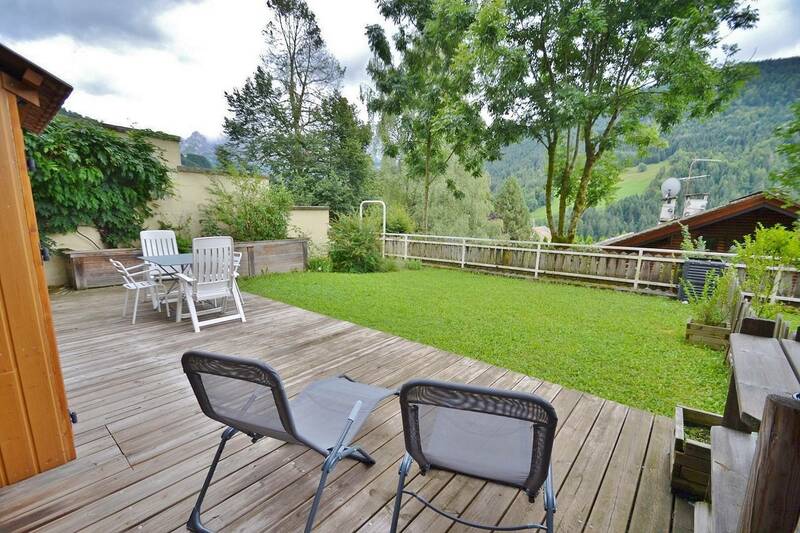 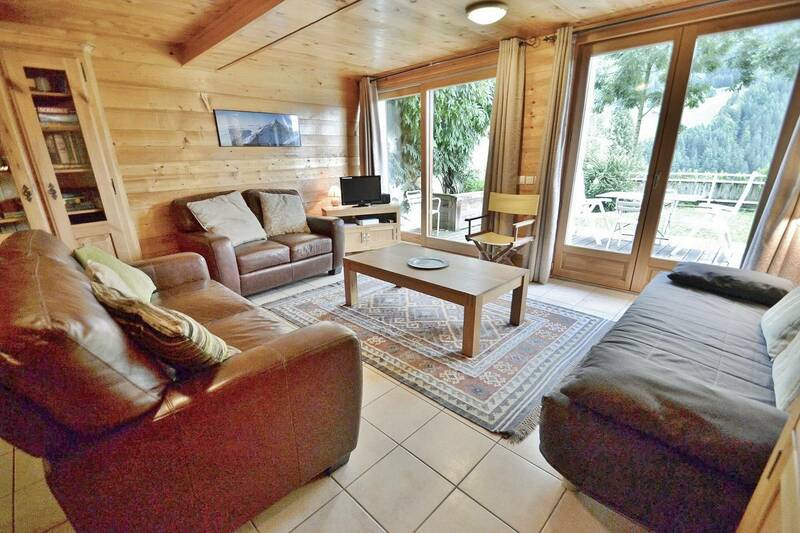 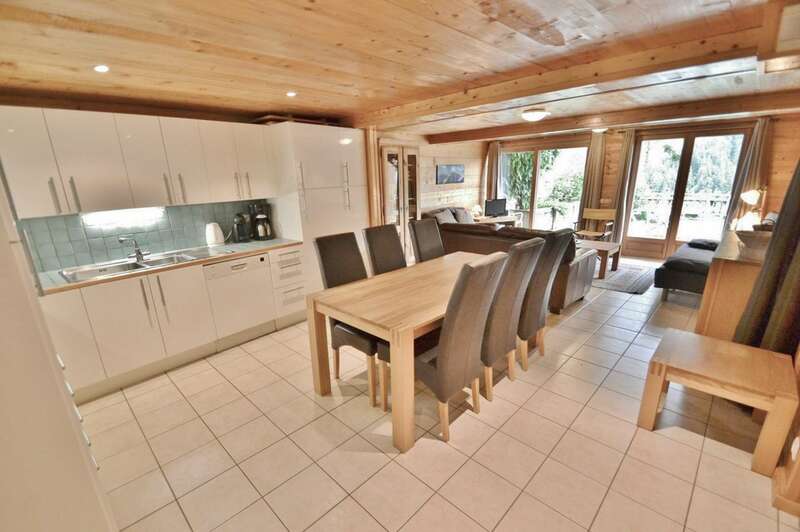 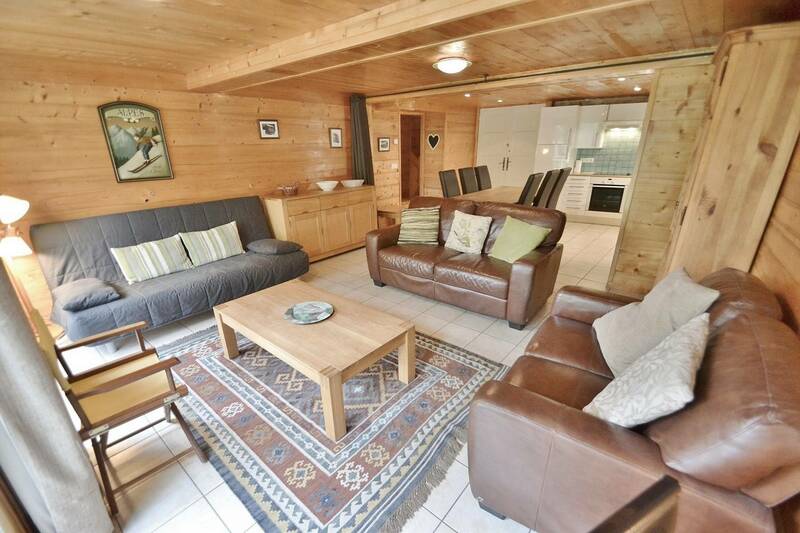 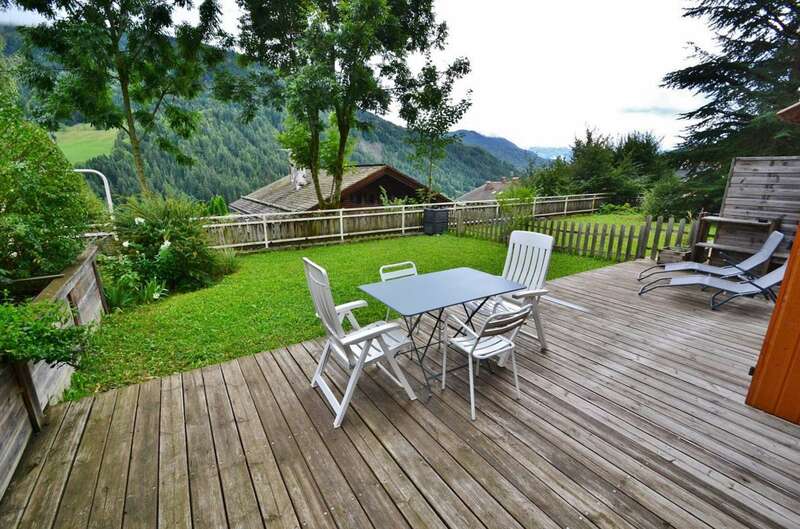 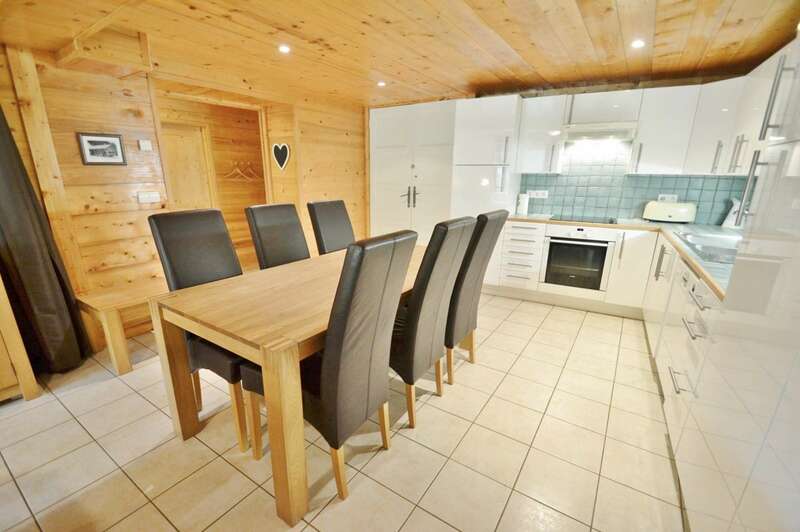 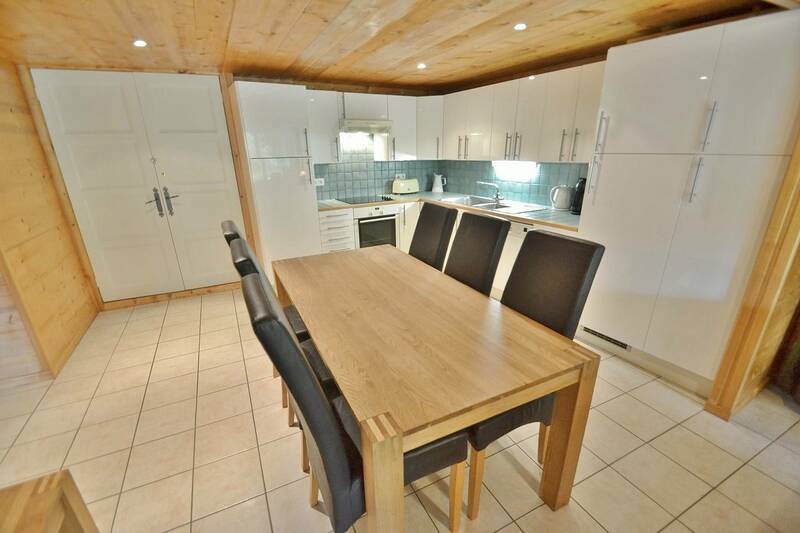 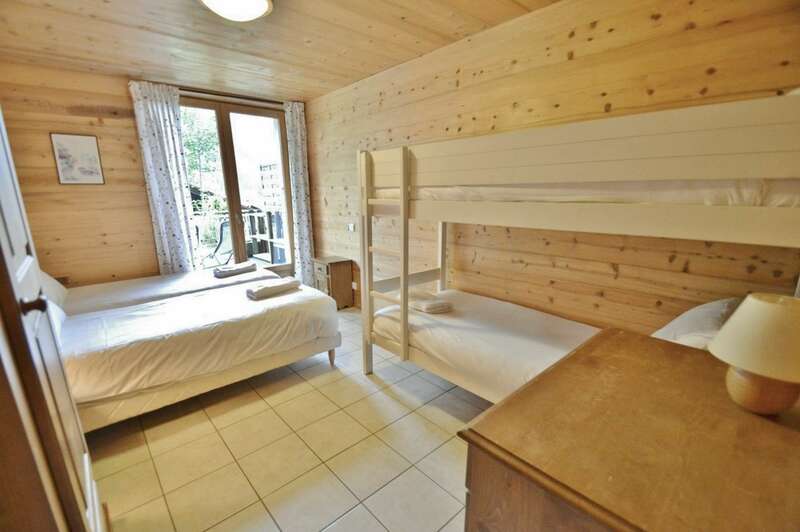 This lovely duplex sleeps 6 and is on the ground floor of chalet Everest which used to be hotel. 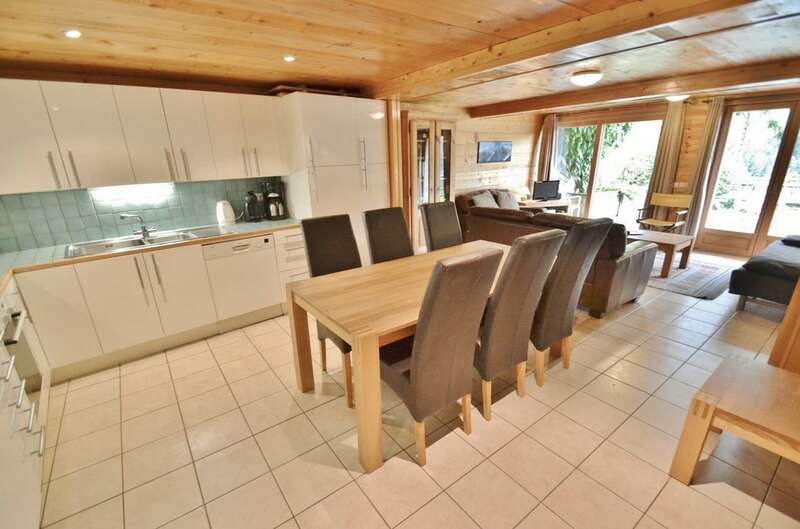 The living room is big and spacious which includes the oversized kitchen, dining room and lounge. 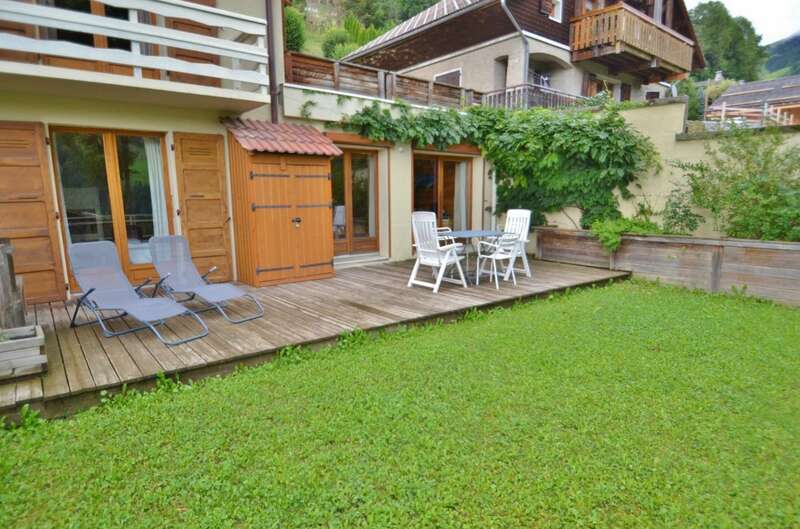 There are big french windows which let in a lot of light and give direct access from the living room onto the terrace and garden with beautiful lawn flower beds. 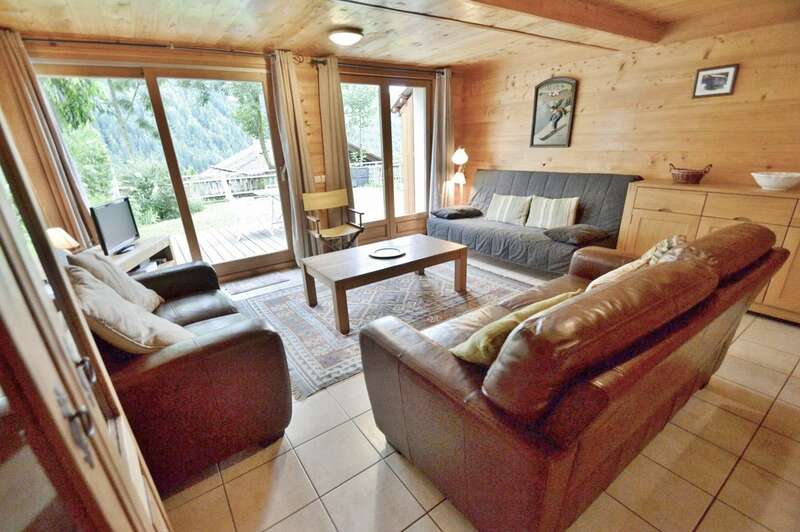 The sofa in the living room is convertible and there is a curtain for more privacy should it be used for extra sleeping. 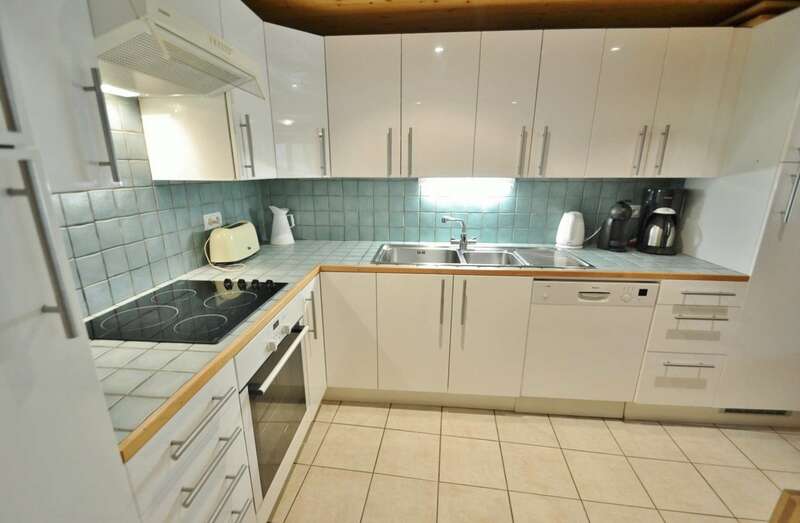 The kitchen is fully equiped with micro-wave, dish-washer, induction hob, fridge freezer, kettle, coffee maker and loads of storage too. 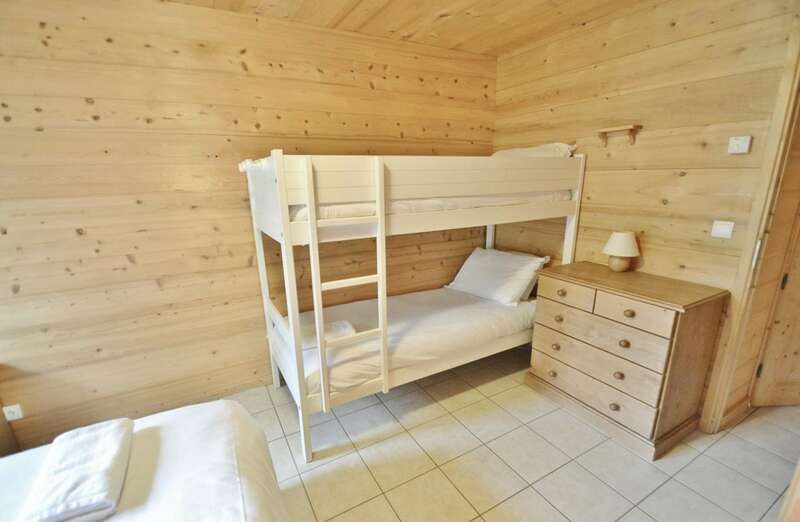 There are 2 bedrooms, one twin room upstairs with ensuite shower toilet and the other one downstairs with 2 singles a set of bunks. 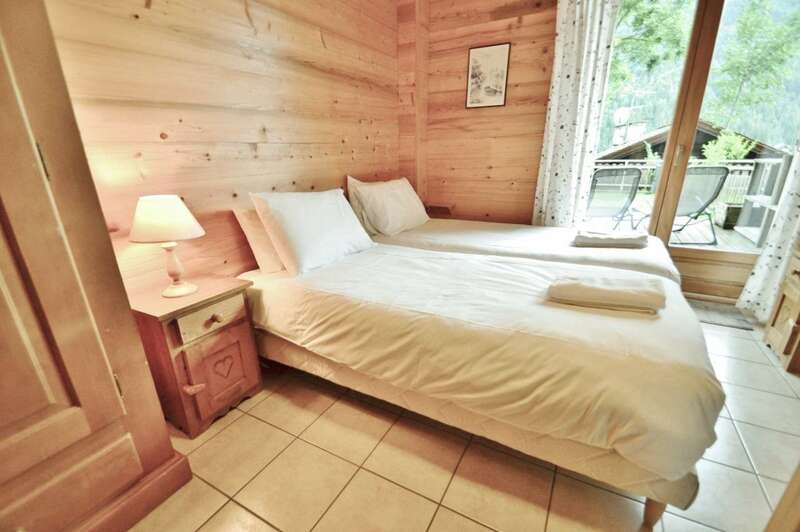 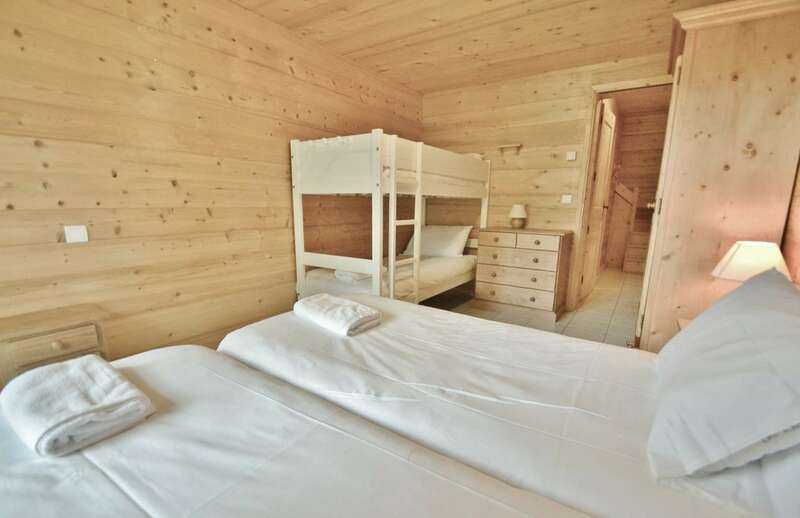 The upstairs bedroom leads out onto a south-facing balcony, with an awesome views of the Grand Bornand village and the Aravis mountains in the distance! 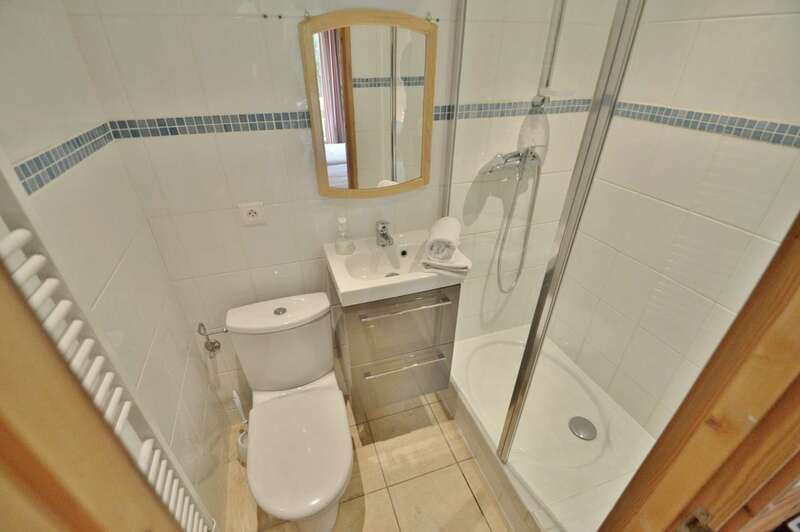 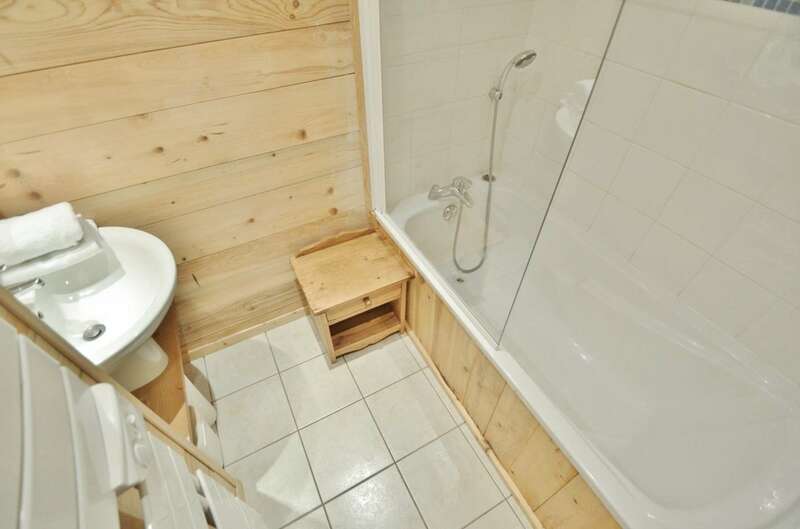 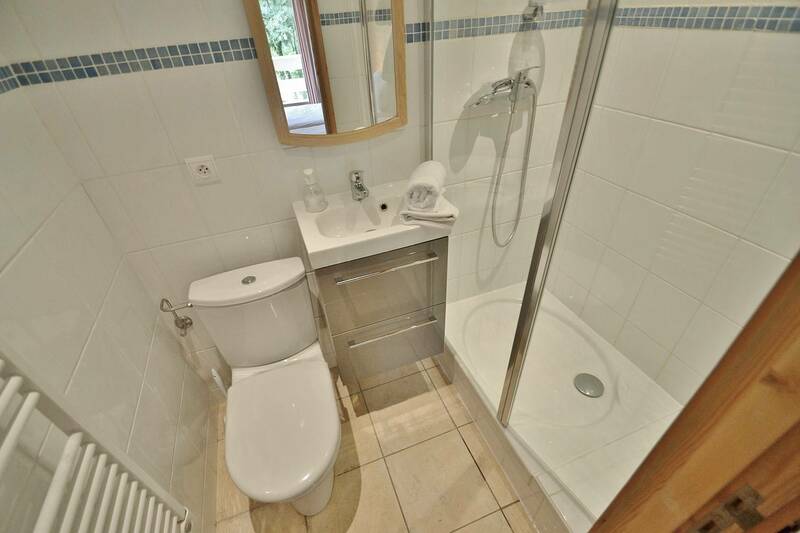 There is a second bathroom downstairs with a bath tub as well as a separate toilet. 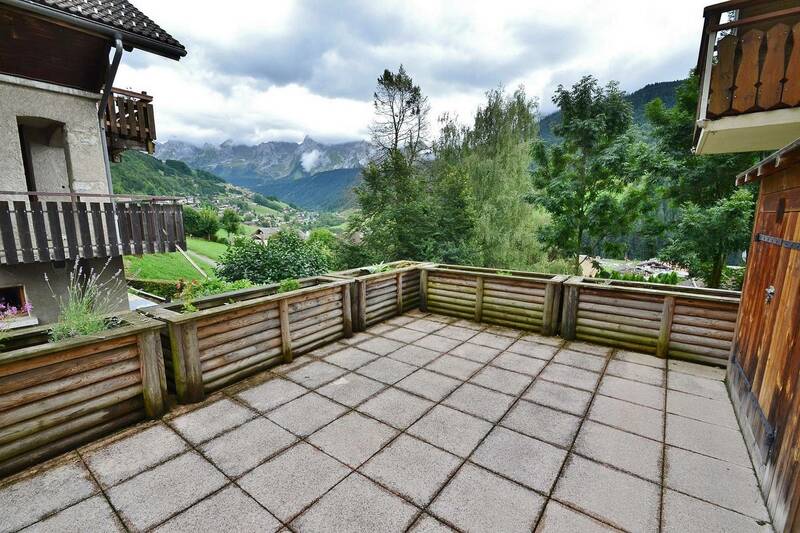 At the foot of the Everest building, there is a bus stop, where you can either take a shuttle going down to Grand Bornand village or up to the Chinaillon towards the slopes in the Winter! 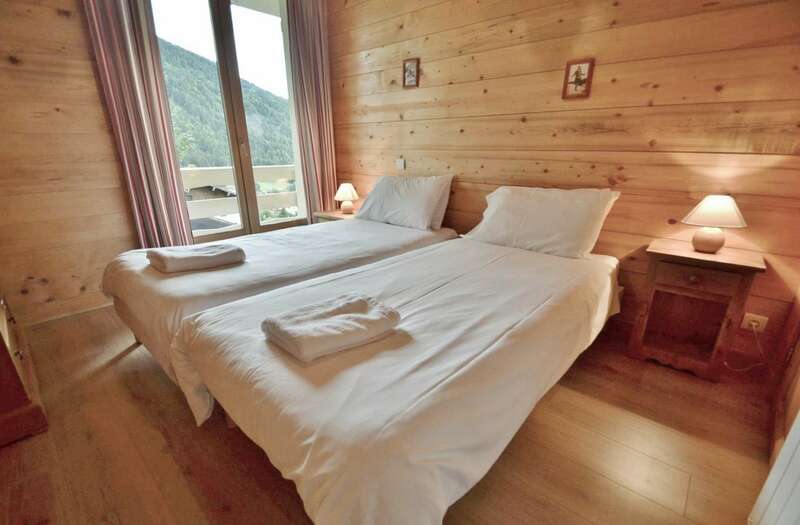 Linen is provided in the price of the rental and comprises sheets, a small bath towel, a hand towel, bath mats as well as tea towels. 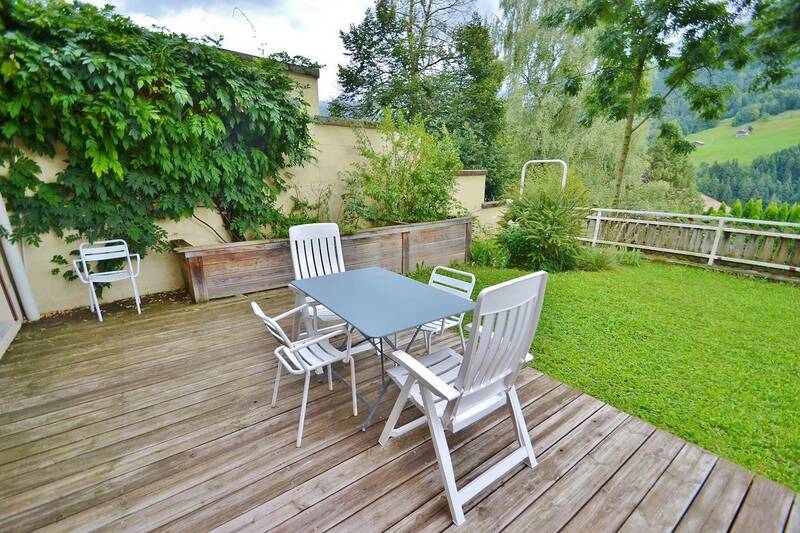 Highchairs and carrier cots are available, so don t hesitate to ask for them!